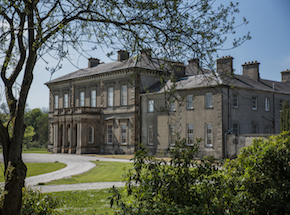 Dundarave Estate is a stunning Irish 19th Century Estate situated between the famous Bushmills Village (home to the Whiskey) and the Giant’s Causeway, with the spectacular world-famous Northern Irish coastline being just a stone’s throw away. The picture-perfect setting has also been used by A-list celebrities and critically acclaimed artists as a filming location. The Estate has played host to many private corporate events over the years. On the grounds are two charming walled gardens, a working farm, an established pheasant shoot and the River Bush. The Dundarave farm offers a superb blend of commercial and recreational farming opportunities with the highest quality grazing and arable land. Own range of jams, chutneys, meats and apple juice. Private estate for corporate events and TV/film location.